NORTH EASTON, Mass. – The game ended in a draw, but Oliver Ames walked away from Val Muscato Stadium with something to celebrate. 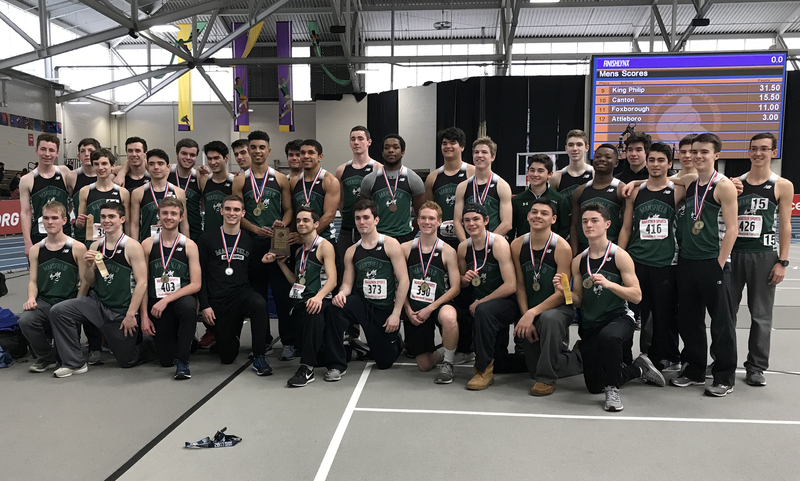 Although neither the Tigers nor the Hornets of Mansfield scored in a showdown of the Kelley-Rex’s top two teams, the point from the draw kept OA (26 points) ahead of Mansfield (25 points) and clinched the division title in the final league game of the season. 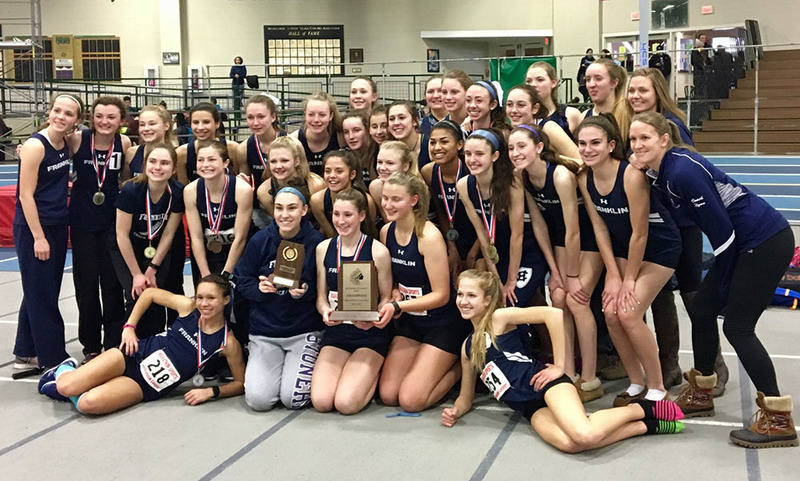 “It’s a good draw because that’s all we needed to win the league outright,” said OA coach John Barata, who helped the program win its fifth division title in the past seven years. “However I think we were the better team today anyways. I thought we had many more chances, especially in the beginning. I thought we dominated about 80% of the game. The first half nearly picked up right where OA left off the last time these two teams met back at the beginning of October. The Tigers dominated the second half of that game with chance after chance, but only scored once in a draw. 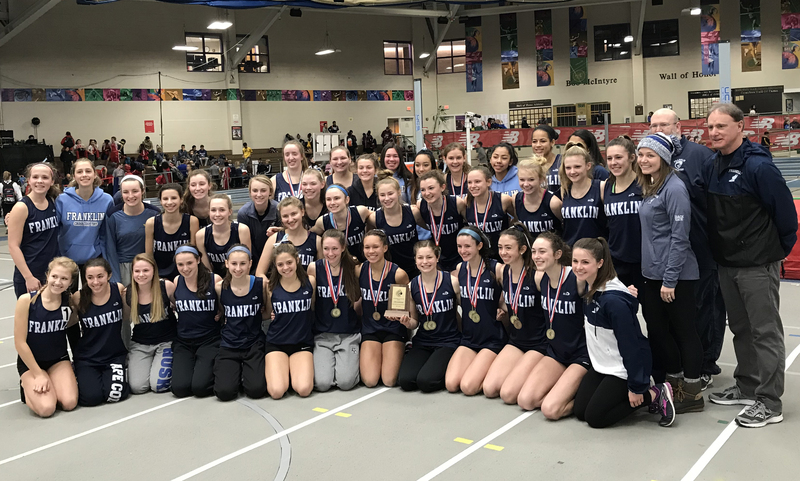 “[Oliver Ames] is a much higher ranked team than people give them credit for,” said Mansfield head coach Steve Sheridan. “They are a great team…great coach, great players. I have nothing bad to say about this game other than I wish we scored. The chances came right away for OA, who had six corners kicks in the opening 40 minutes and six long attacking throws into the area. Michael Nikiciuk ripped a left footed shot for the Tigers in the eighth minute that was collected by Mansfield keeper Nick Ferraz. Senior Nathaniel Cardoza played classmate Brandin Osborne wide but his low drive at the near post was turned aside. Cardoza was at it again in the 20th minute, seamlessly splitting a pair of defenders before sending in a through ball for classmate Matt Campbell, but Campbell couldn’t quite get his body turned and his one-timer rolled harmlessly to Ferraz. Jack Sheldon forced Ferraz into a leaping save in the 24th minute on a tight angle shot, but the ensuing corner didn’t result in a chance. Chris Lawrence’s long throw-in found Nikiciuk inside the box in the 33rd minute, but his low bid from in close skidded wide at the near post. Matt Alvarado sent a tempting cross into the box that bounced to the far post but Sheldon was just a step late and his touch went wide into the near post side netting. The game, and the chances, evened out more in the second half as the Hornets came out with a more physical game plan. The style worked, as the Tigers struggled to get their offense going as they did in the first half. Nonetheless, both sides had chances. Campbell laced a shot just over the bar after hitting it on the bounce in the 47th minute. Cullin Anastasia did well to track down a clearance for the Hornets in the 54th minute, playing Sean Lanzillo wide, but his service to the back post was gobbled up by OA keeper Jack Carroll. Just a minute later, Sam Hyland jumped onto a loose ball for the Hornets but his low bid was covered by Carroll. OA senior Cam Vella connected on a header in the 61st minute, but Ferraz had plenty of time to adjust on the bounce and make the stop. The best chance of the game for either side came in the 62nd minute when Jackson Murphy played a perfectly weighted through ball to Lanzillo on the left wing, and he centered to a wide open Anastasia inside the six, but his sliding bid went over the bar. Mansfield kept the pressure up as Harry Braidt sent a free kick into the area in the 66th minute but it bounced through without a recipient. Hyland had another chance in the 69th minute when his long throw was cleared back out to him, but his hard show sailed over the bar at the far post. With the Hornets – who needed a win to clinch the division title – pushing numbers forward, OA had some chances on the counter-attack. Alvarado slipped a pass in behind for Nikiciuk but Ferraz made his biggest stop of the game with a point-blank save on a shot from inside the area. 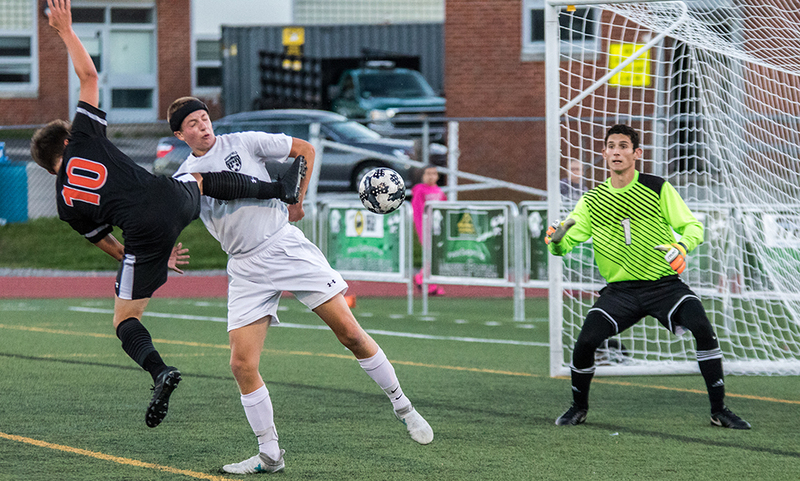 The Hornets had a chance on a scramble in the area when Luke Savoie’s free kick was dropped by Carroll, but as Nick Hyland put a header on frame, Carroll recovered quickly to make the stop. Nikicuk nearly had the winner with the final chance of the game, again taking a pass from Alvarado but Mansfield’s Matt O’Donnell had a perfectly timed slide to just put him off and allow Ferraz to collect. Oliver Ames boys soccer finishes the season with an overall record of 11-2-4 and will likely be a top-four seed in D2 South when the brackets are released on Wednesday. Mansfield finishes 10-2-6 and will also likely have a home game to start the D1 South tournament. MANSFIELD, Mass. – Oliver Ames head coach John Barata was starting to run out of fingers to count his side’s chances in the second half alone. And as the chances went calling, and the minutes ticked by, Barata began to wonder if his side would be shut out for the first time in league play this year. “I’ll be honest, we didn’t know if it was just going to be one of those nights,” Barata said. “I believe in these kids, but I wasn’t sure if it just was going to be one of those nights. Mansfield is a very good team but I believe we were the better team tonight. The Tigers had complete control of the match for the first 25 minutes of the second half, but all they had to show for it was four corner kicks and four long attacking throws that were thwarted by Mansfield defense. And a 1-0 deficit to the Hornets, who scored midway through the first half. But finally in the 68th minute, on the team’s fifth long throw in the attacking third, there was a breakthrough. Chris Lawrence’s toss was cleared away by Mansfield’s defense, but only to just outside the top of the area. OA senior Mason Galbato put his laces on the ball, driving a low line drive through traffic and into the back of the net, helping OA finish 1-1 with the Hornets. The first half was a bit more even, with Mansfield even having the better chances in the opening half hour. Senior Sean Lanzillo tested OA early, ripping a right footed shot in the fourth minute from just outside the area but Tigers’ goalie Jack Carroll was up to the task at the near post. OA registered its first chance 10 minutes later, when the Tigers forced a turnover in the attacking third. James Gillespie was quick to play senior Nick Bloumbas, and Bloumbas’ shot from distance forced a diving save. Mansfield finally broke through in the 21st minute. Nick Wisnieski centered a pass that was partially cleared by OA, but not past Mansfield senior Sam Hyland just a step inside the area. When the ball fell to him, he buried his shot into the upper corner at the far post, giving the Hornets a 1-0 lead. The Hornets nearly doubled their lead inside the same minute when Lanzillo dropped a pass in behind OA’s defense, leaving Hyland in alone on goal. But Carroll came out and made the big stop, with Colin Evin first to the rebound to make the clearance. The Tigers had a chance just before half, again on the back of a long throw from Lawrence. This time senior Michael Nikiciuk got a touch at the near post but Mansfield’s Jackson Murphy did well to clear the loose ball. The second half was full of chances for OA. In the 44th minute, Nathaniel Cardoza – who shined in midfield for OA – got his head to a throw, but it was over the bar. In the 54th minute, Jack Sheldon played a short corner to Matt Alvarado, but his low shot to the near post was saved by Mansfield keeper Nick Ferraz. In the 56th minute, Cam Vella got his head to a long throw, giving Gillespie a chance inside the box but Mansfield’s Derek Mueth came up with a key block. Three minutes later, a long throw put the ball into the area but both Cardoza and Alvarado had shots from inside the area blocked away. In the 66th minute, Gillespie played a low cross to the near post that found Matt Campbell, but his bid was blocked by right in front by Mansfield’s Sam Nugent. Oliver Ames finally broke through two minutes later on Galbato’s strike. Each team had a chance in the final five minutes. For OA, Campbell played a low cross to the near post, but Ferraz made the charging save before Cardoza could get a touch. And for Mansfield, Mueth played a ball in behind the OA defense but the spin on the bounce fooled Carroll and ended up just wide at the far post. 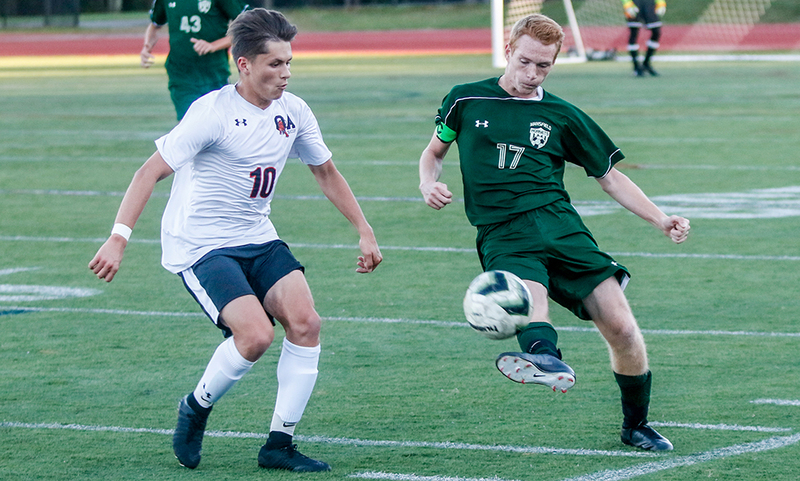 Oliver Ames boys soccer (6-1-2 overall, 6-0-2 Hockomock) returns to action on Wednesday when it starts the second half of its crossover games with Milford coming to visit. Mansfield (6-0-3, 6-0-2) will entertain Sharon on Wednesday afternoon.